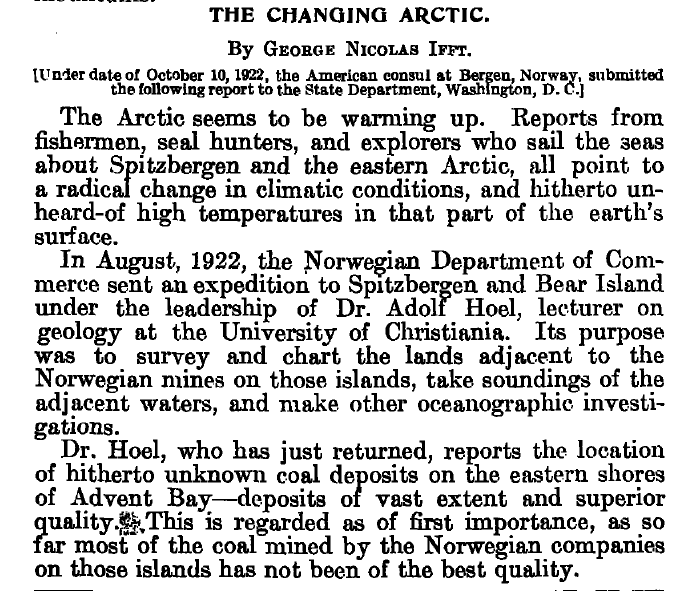 Arctic warming up – 1922 edition. 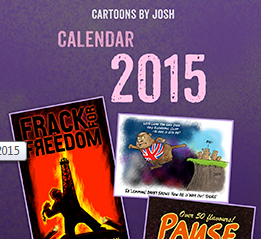 Has climate science got anything to say about it? In 1922, NOAA knew that the Arctic was undergoing a “radical change of climate”, and was “not recognizable” from the climate of 1868 to 1917. Any chance of a map showing where was ice free versus the current situation? 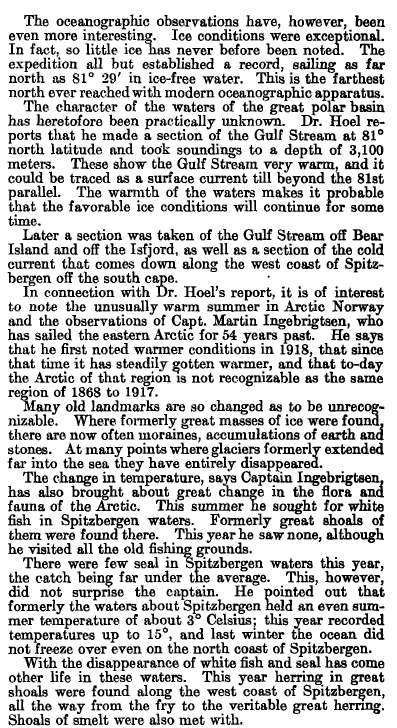 The interesting section of the article says: „….that he first noted warmer conditions in 1918, that since that time of has steadily gotten warmer, and that to-day the Arctic of the region is not recognizable as the region of 1869 to 1917“. Solar cycle 15 (1913-1923) lasted 10.1 years and was the shortest solar cycle for 80 years. All the previous six cycles took between 11.3 and 12.1 years i.e. above the long-term average of ~11.1y. From 1913-1996 only one solar cycle exceeded 10.5 years (SC 20, 11.4 years). We could now be returning to a phase of longer cycles, as SC 23 (1996-2008) took 12.3 years. Also the number of sunspots is continuing to decline. NB July 1913 – August 1996 = ~83 years, corresponding to a notional Gleissberg cycle or 7 Jupiter orbits of the Sun. Also an interesting difference in how the ice was viewed; warm water/less ice was termed ‘favorable’ (vs ‘catastrophic’). ’22 was a special year.